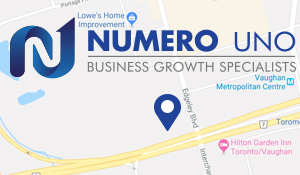 Numero Uno Web Solutions (www.NumeroUnoWeb.com), a fast-growing Internet marketing firm that caters to medium- and large-sized business-to-business (B2B) and business-to-consumer (B2C) companies, is weighing in on a recent study showing the vast majority of Canadians are unable to connect with local businesses because of outdated information in online or mobile searches. Hewko explains that accurate online contact information is also important because mobile searches are targeted to the postal code, address, and road that on-the-go-shoppers are on. A variance in online information means businesses simply won’t show up on Internet search engines like Google and Yahoo! Numero Uno Web Solutions, is one of the top Internet marketing firms due to constant innovation and overall customer satisfaction. For more information on Numero Uno Web Solutions, and to discover how they can help maximize a company’s search engine optimization and online presence, visit www.NumeroUnoWeb.com or call Numero Uno Web Solutions toll free at 1-855-SEO-XPRT (1-855-736-9778).